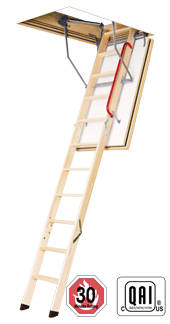 The LWF fire rated ladder provides easy access to an attic while functioning as a blaze block in case of fire. The hatch is manufactured with the use of fireproof materials and is equipped with a gasket that expands under extreme heat. 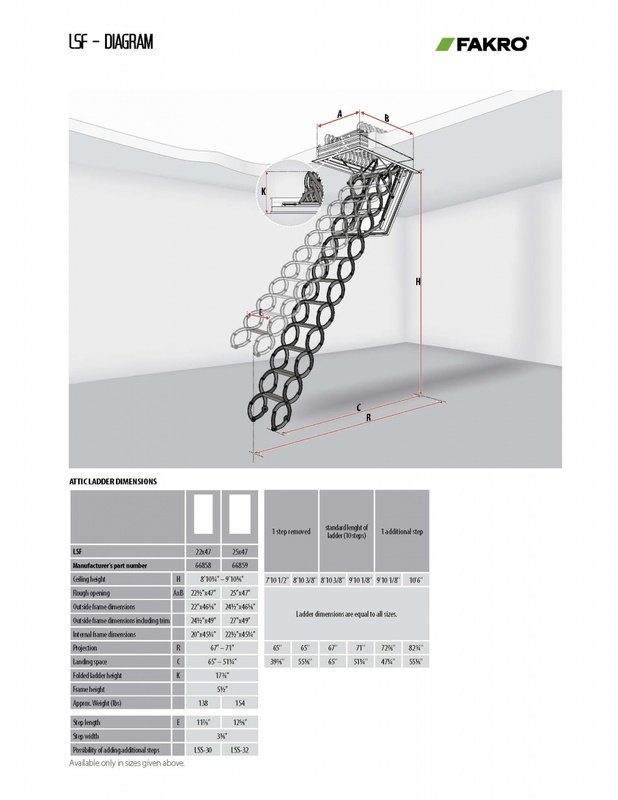 The LWF ladder is fire rated at 43 minutes in accordance with ASTM E119 and 30 minutes in accordance with NFPA 288. 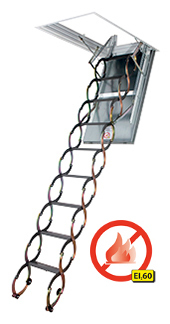 LSF is a fire-resistant ladder which allows an easy and safe access to the attic, and at the same time serving as a fire block during a fire inside of the building. 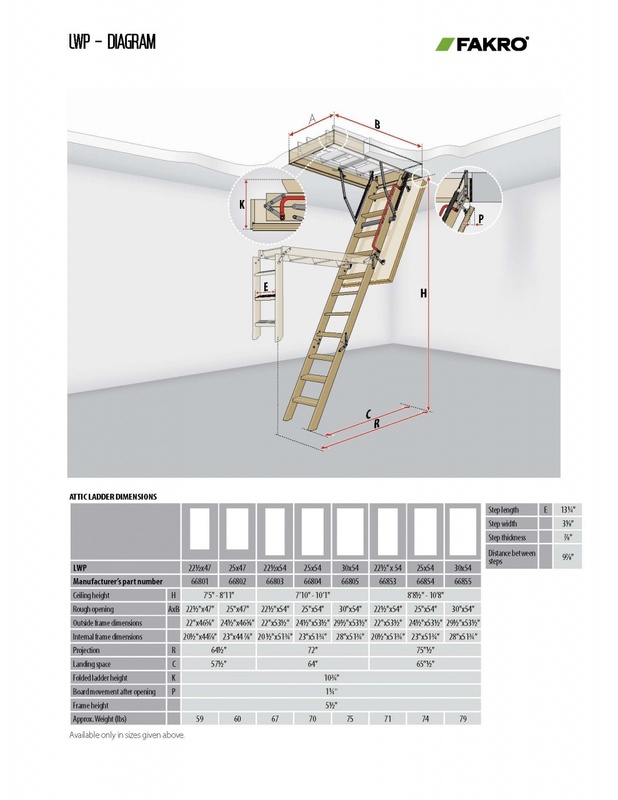 A contemporary system of folding of the ladder enables the ladder to be folded to smaller lengths and therefore allows smaller sizes of loft hatch to be attained. 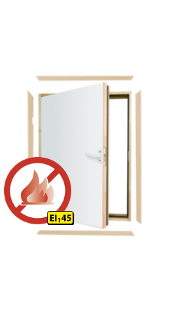 The inner part of the frame is equipped with a gasket, which under the influence of high temperature expands and prevents the smoke from entering the higher floors. 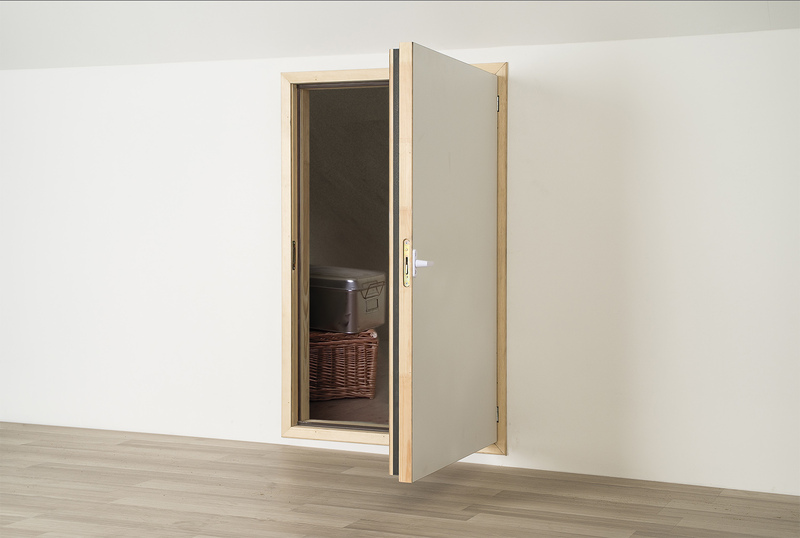 The DWF fire-rated L-shaped combination door provides access to otherwise unused spaces under closed off stairwells and crawl spaces. It is fi re resistant from both sides at 145 minutes as per EN13501). The white, 2½ inch thick sash is thermally insulated providing an excellent barrier that reduces heat loss (R-value 8.9*). 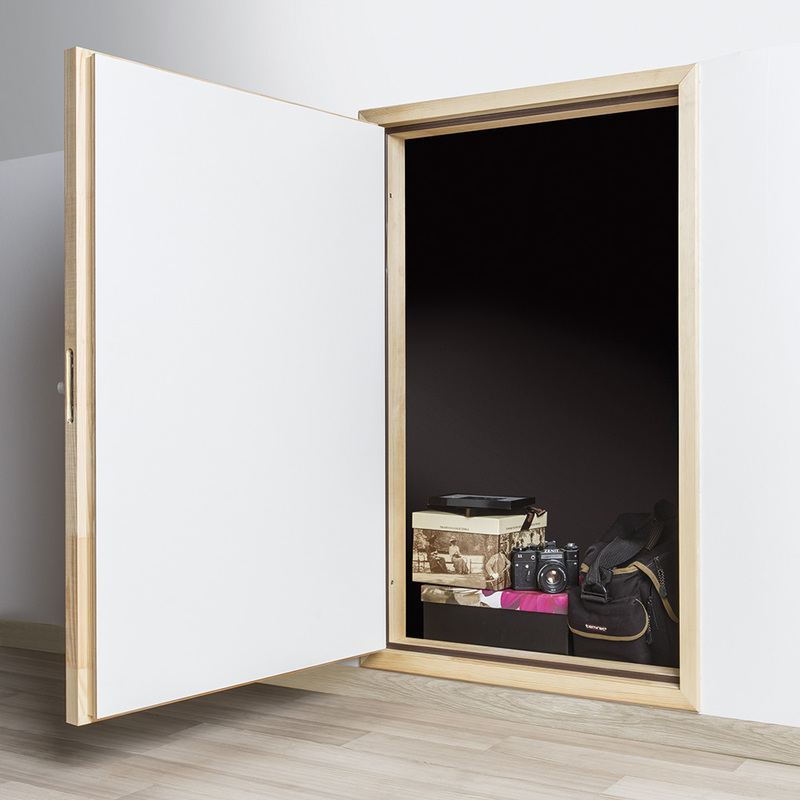 The doors can be installed in two versions of opening (right or left). 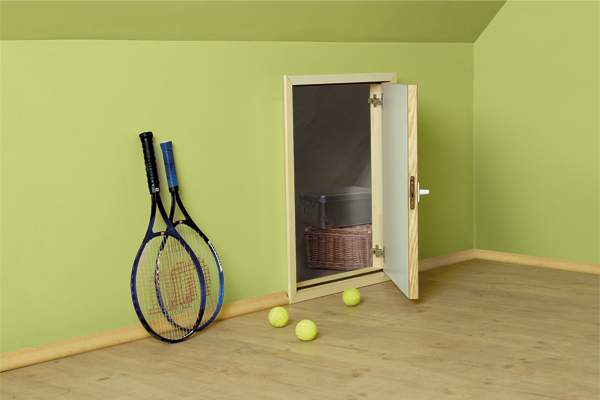 Includes natural pine-coloured trim.